In the Olympic movement has always been present some element of the policy. In particular this was noticeable at the time of worsening relations between the leading world powers – the USSR and the USA. 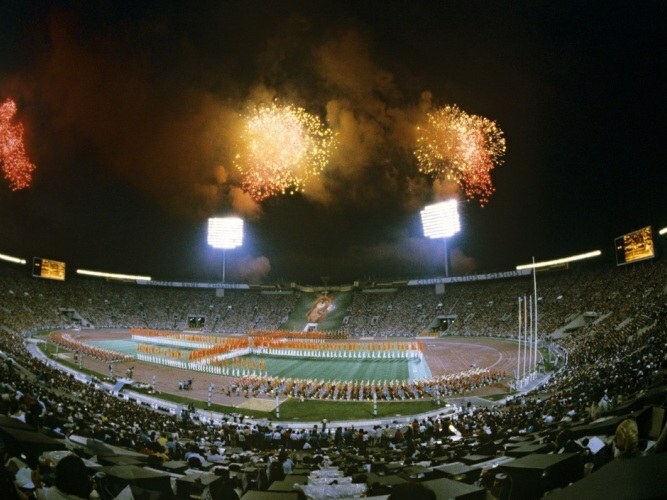 One of the episodes, which clearly describes the impact on the sport of political differences, was the boycott of the Olympic Games held in 1980 in Moscow. The Olympics-80 in Moscow coincided with the peak of the confrontation between the Soviet Union and the United States in the so-called "cold war". The main reason for the boycott of the Games is often called the entry of a limited contingent of Soviet troops in Afghanistan. However, this political decision of the Soviet leadership has become a convenient excuse to boycott the Olympics, played into the hands of principled opponents of holding in Moscow the main sports event of the year. The idea of boycotting the Games in Moscow was born at a meeting of leaders of NATO countries in early January 1980. The initiators of the protest were representatives of UK, USA and Canada. But even before the decision to send Soviet troops to Afghanistan in the West seriously discussed the question of boycotting the Olympics in protest against the persecution in the Soviet Union dissidents. In total the Olympic games in Moscow boycotted the Olympic committees of more than sixty countries. Among them were the US, Japan, Germany, Canada, Turkey, South Korea, whose sportsmen are traditionally strong and were the main competition for Soviet athletes. Some athletes from France, Britain and Greece arrived on the Olympic games-80 on an individual basis, and Qatar, Iran and Mozambique were not included in the application of the Olympic Committee. At the ceremony in honor of the opening and the end of the Olympic Games some countries were not under the flags of their powers, and under the flags of the International Olympic Committee. In including Australia, Andorra, UK, Belgium, Denmark, the Netherlands, Italy, Portugal, Ireland, Luxembourg, France, Switzerland, San Marino, Ireland. When giving Olympic medals to the athletes of these countries did not sound the national anthems, and official Olympic anthem. Of all Western European countries under their national flags were only the teams of Greece, Austria, Finland, Sweden and Malta. Despite the boycott of such a large number of States, Moscow has taken athletes from 81 countries. In the course of sporting battles, the participants of the Moscow Olympics was established more than 70 Olympic records, 36 world and European 39. In total, these achievements have blocked the results of the previous Olympics held in Montreal in 1976.